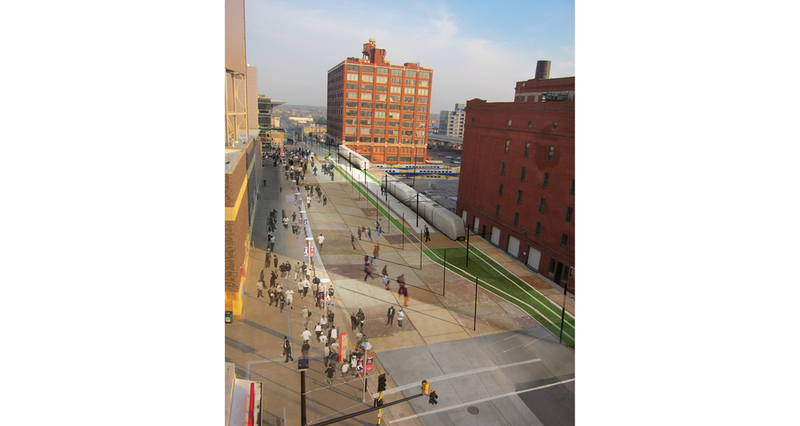 VJAA worked to assess critical areas for future development around the priorities of green living, transportation connections, and economic and social vitality. The study began with an assessment and conceptual proposals for the Farmer’s Market and future Royalston LRT Station site. The design study looked at the area after the construction of a new stadium three-dimensionally and holistically to understand a series of critical layers that would transform the area. The intent was to understand the impact of a proposed elevated LRT on the cityscape and explore ground-level alternatives. 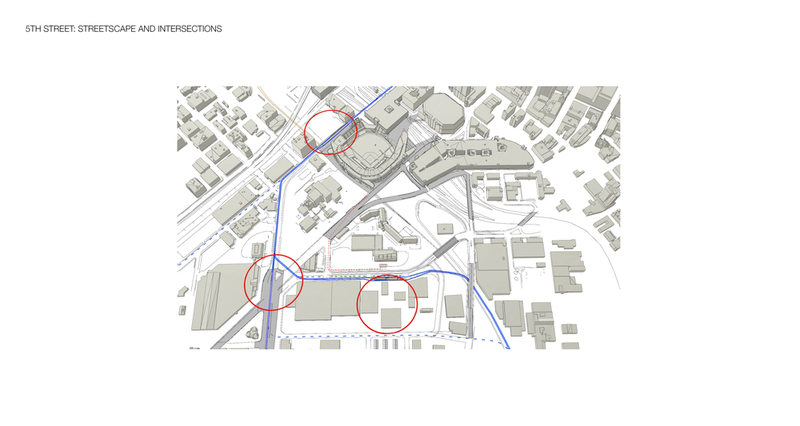 Study areas included site improvements along 5th Street and 6th Avenue.